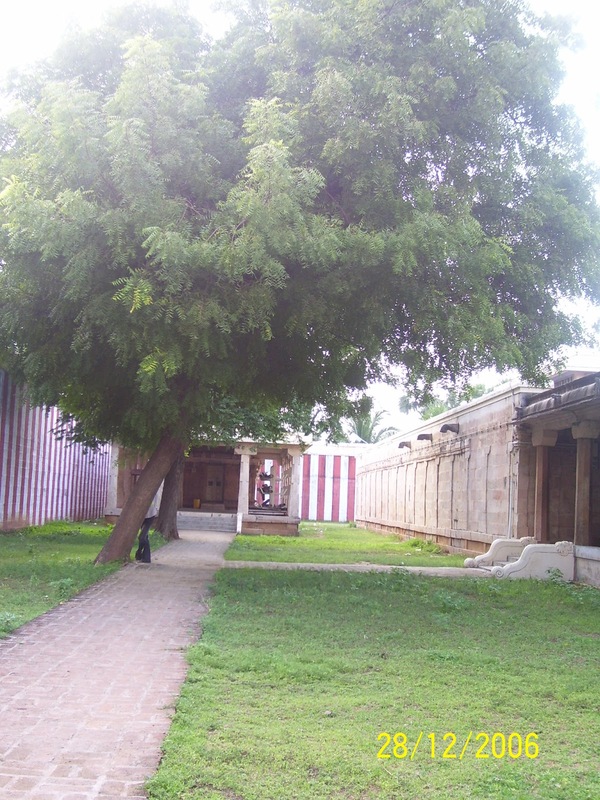 Located 2 kilometers South East of Azhvaar Thirunagari is the birth place of Madhura Kavi Azhvaar and the Vaitha Maa Nidhi Divya Desam at Thiru Kolur. The Lord is seen in a reclining posture (Bhujanga Sayanam) facing East. Legend has it that Kubera, the protector of the nine forms of wealth, once went to have a Darshan of Lord Shiva. He is said to have cast an evil eye on Goddess Parvati, who cursed him as a result of which he lost an eye as well as the power of being the protector of the wealth. 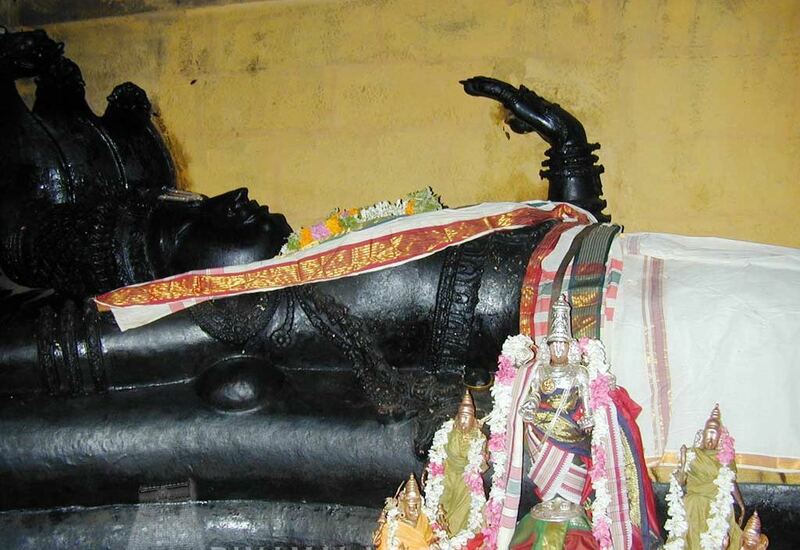 To be liberated from the curse, Kubera is said to have come down to Thiru Kolur to undertake penance. Lord Vishnu is said to have appeared in a sleeping posture and taken care of the nine forms of wealth from the banks of Taamaraibarani. Hence the Lord is called ‘Vaitha Maa Nidhi’. Another story goes that Dharma Gupta, a brahmin, was in financial distress not being able to even feed his children. He invoked the blessings of his Guru Sage Bharadwaja. The Sage explained to him the reasons for his current state- Dharma Gupta who had been wealthy in his previous birth had become arrogant and did not share his wealth with the poor. The sage asked Dharma Gupta to proceed to Thiru Kolur to undertake penance in front of Vaitha Maa Nidhi Perumal. He is said to recovered his lost wealth at this place. Perumal is also known as Adharmapisunam. It is said that a visit to this temple will help one recover lost wealth. The Lord here is said to help his devotees in distress. The temple is open from 07:30 a.m. to 12:00 noon and from 04:00 p.m. to 08:00 p.m. 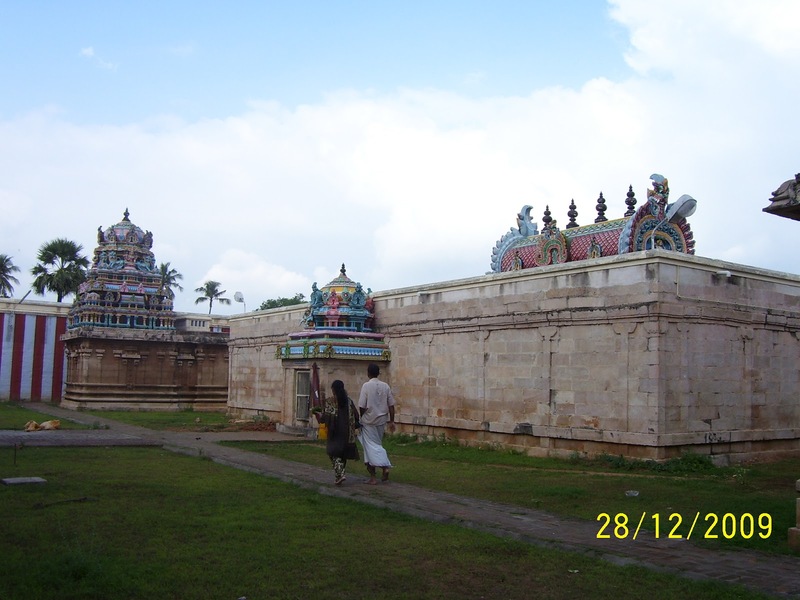 This sthalam is situated two miles away from AzhwAr Tirunagari, in Tirunelveli district. No lodging facilities available. This sthalam is one of Nava Thirupathi.